After the 2008 Scion Tuner Challenge I thought that would be last competition, but in the back of my mind I wanted to do another build for Scion. So when they asked me to come back for the 2010 Scion Tuner Challenge and compete in the “Best of the Best” competition I was excited. Not because I wanted to compete, but really because I just love building cars. When it was announced that we would be building the new 2011 Scion tC, I looked forward to it, but after thinking about the build and what direction I would go in I was stuck. I had already built a “tuner” style tC and that build had the goal to win the competition sticking to traditional car show judging as well as making a Jon Sibal rendering come to life. My initial idea was to build another complete vehicle with some signature styling (custom bodywork and clean paint) and I would give away this idea, but I still want to someday come back to it. But then I thought and became really inspired by the idea of building a race car. Besides the Formula D cars that I’ve been exposed to that last 7 years I’ve always been a fan of DTM and Super GT cars and lately FIA GT1 has caught my eye. So the final decision was made to think outside the box and become creative and challenge myself with a style of build that I’ve never done before. I knew going in that I would stick to my “theme” and that may hurt me in a car show setting, but that wouldn’t deter me from building something that I am proud to put my name on (literally.) 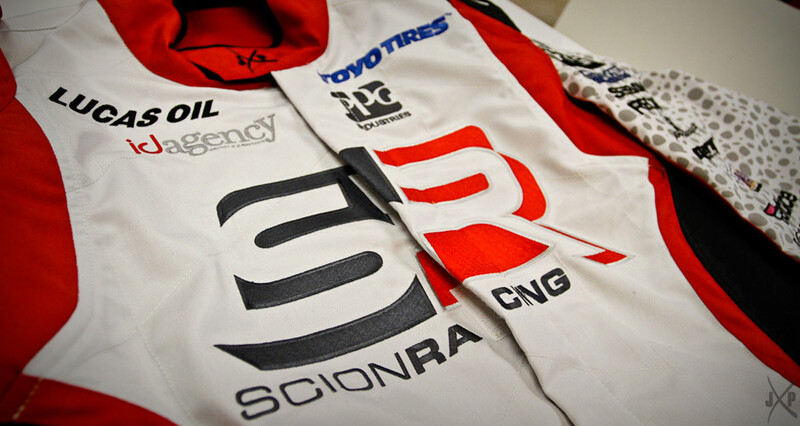 I also wanted to make sure the car could be used by Scion for all their marketing needs because at the end of the day they are the ones that made this all possible. When entering into a new project I look at it like I’m the architect and need to create a blueprint to plan the build. Once the initial plan is set into motion I assemble the designer, sponsors, and team. I’m fortunate enough to be friends with one of the best if not best automotive illustrators in the world, Jon Sibal. Working with Jon is always a treat as we both have similar tastes and design style. After a couple discussions and ideas and emails with inspirational ideas he was able to put together the first initial rendering that I absolutely loved. Once that was out of the way it was on and the process was set to create my first race car. With less than 3 months and a set budget it becomes hard to create a SEMA worthy vehicle. You must rely heavily on the team and place trust in them otherwise the work will never get complete. Since this was my first race car I wanted to find a fabricator that has experience with racing and could do all that needed to be done. Luckily, I found just that shop and about 5 minutes from my house. Many nights after work were found in the shop discussing and watching the work get done properly. 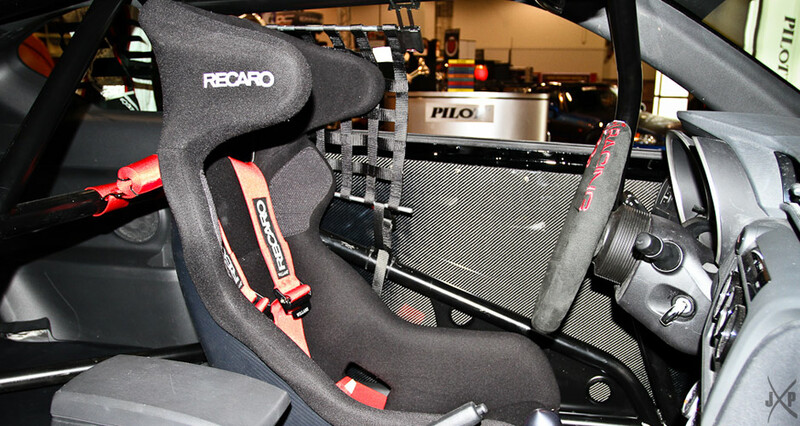 They did a fantastic job on the custom roll cage that was built to spec for Time Attack. I also relied on great bodywork. 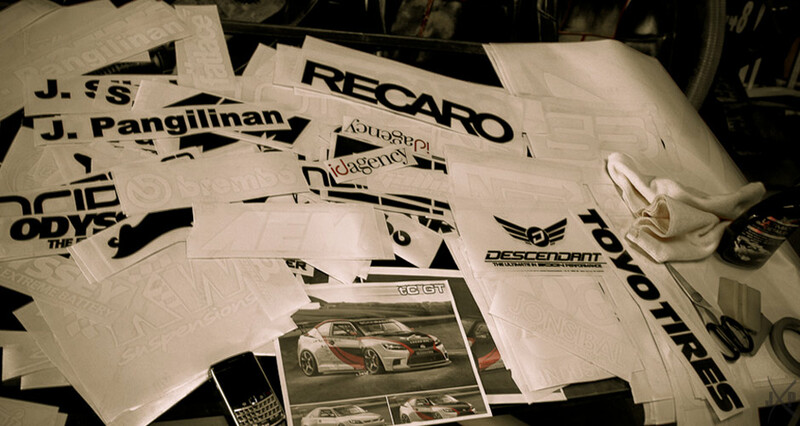 To create a custom bodykit from scratch takes many hours of handcrafted work. 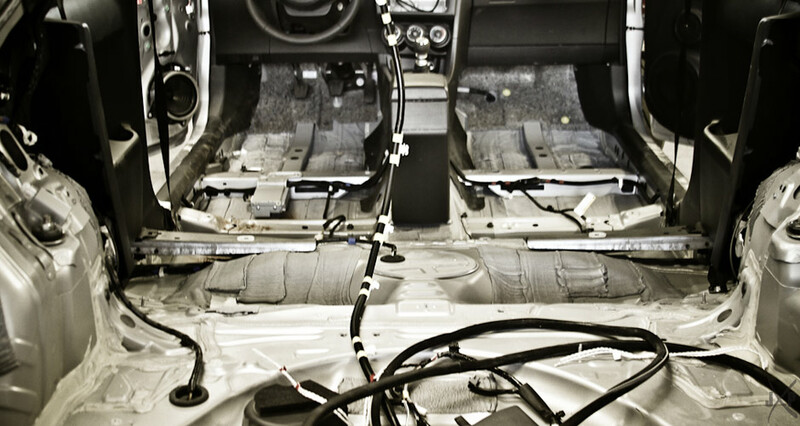 The guys at Seibon Carbon worked relentlessly to get the work done to stick to my schedule. In order to get this type of support from one of the leaders in the industry a plan had to put in place that made sense for all parties involved. 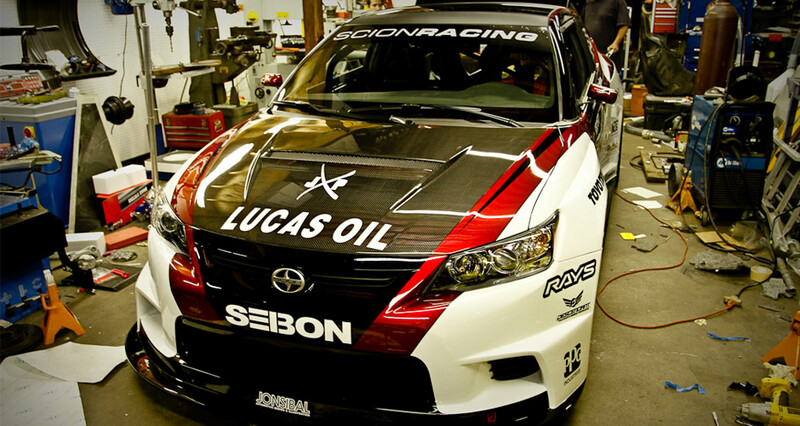 So I did what I do best and worked a little magic…the custom Jon Sibal designed Scion tC GT widebody will now be created for production by Seibon for sale next year and the Formula D team at Papadakis Racing with driver Tanner Foust behind the wheel will be using the same kit in full carbon fiber on their competition tC. But with great bodywork there needs to be great prep work. And a special favor from Tito and the guys was called on to prep the car for paint. They were able to work a miracle during a weekend to have the car stick to schedule and get it to my paint shop in time. From there it was off to Kelly & Son the Crazy Painters in Bellflower, CA to apply the killer paint job. There are multiple reasons that I went with a new paint shop for this build. A couple was quality of work and timing. I needed a place that could apply the paint scheme and to the car. The livery also has inspiration from the Lexus LFA GT1 car using the Toyota color scheme. Applying details from the traditional racing heritage was important to me to give the exterior some meaning. Kelly & Son also helped bring in PPG as a the paint sponsor and knowing the quality of this paint it was a no brainer and I jumped at the opportunity to work with these guys and look forward to working with PPG and Kelly & Son for future builds. 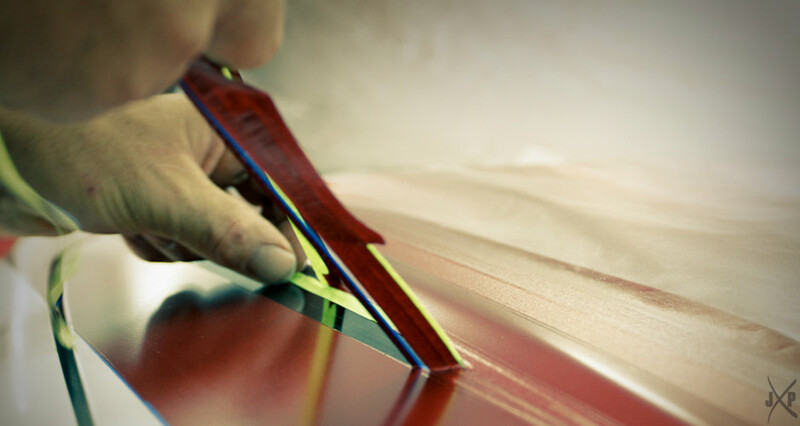 Attention to details and limited edition products for vehicles is similar to that in the fashion world. For this build I wanted to personalize and customize it to my tastes. 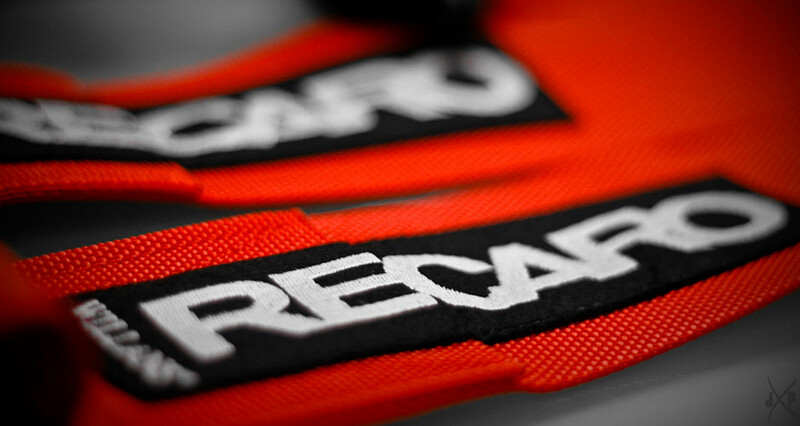 From the “Scion Racing” embroidered Personal steering wheel to the Wraptivo carbon fiber vinyl wrapped roof and Recaro seat. But my favorite touch of detail is the rare custom one-off limited edition 1of1 imported hand crafted collaboration between Recaro and Willans. This harness is nearly impossible to get, but thankfully I was able to call in a favor to get these and it was well worth the wait and the cost. Other customization parts on this car come from Brembo. 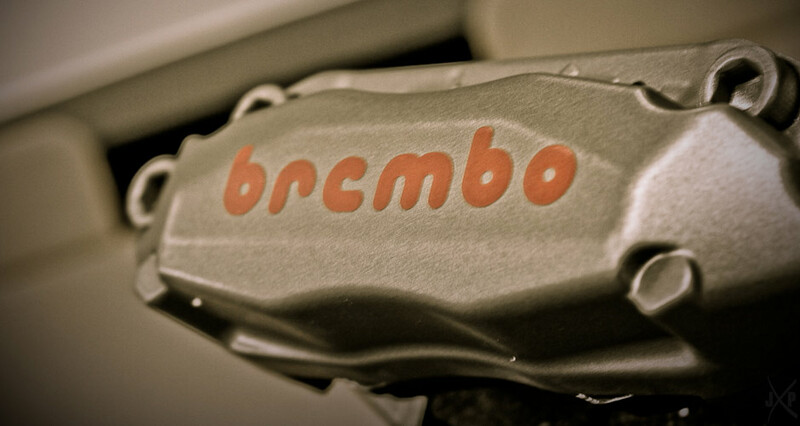 In keeping with the race theme I had the calipers painted in Brembo race bronze. When trying to retrofit the big brake kit a custom bracket had to be fabricated and luckily my shop had the right tools and knowledge to do it. I also was lucky enough to get the help and support of brake guru Jaime from Race Technologies. He was able to determine that rather than the 12.3 inch rotors I could upgrade to a pair of 14.6 inch beasts. 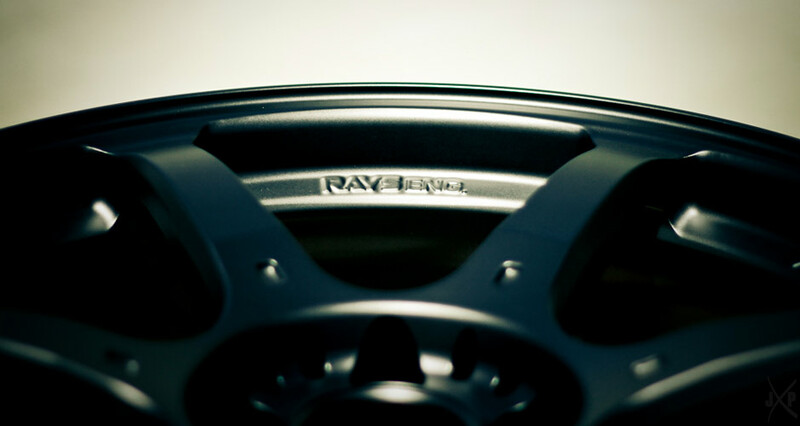 And somehow with all that they fit within the 18″ Rays G2 wheels (size chosen again for performance and weight – for all those wondering why I ran spacers keep in mind the body kit was designed for a drift set-up to be functional). KW Suspension was also used on the project. 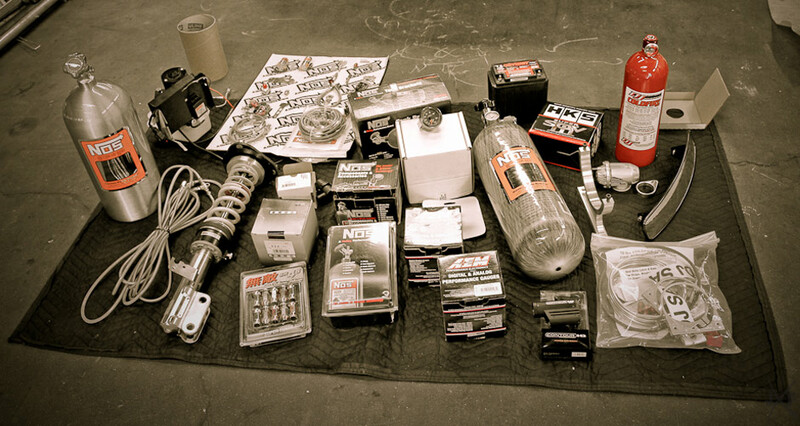 But not just any coilovers this was a special set of the HLS height adjusting system. This system and the brakes alone cost more than the entire car itself. Learning from the previous tC build I knew that air ride suspension would be needed in order to safely tour the car with Scion. So rather than traditional air suspension I wanted to really keep with the race theme and luckily KW was able to supply the product for it. 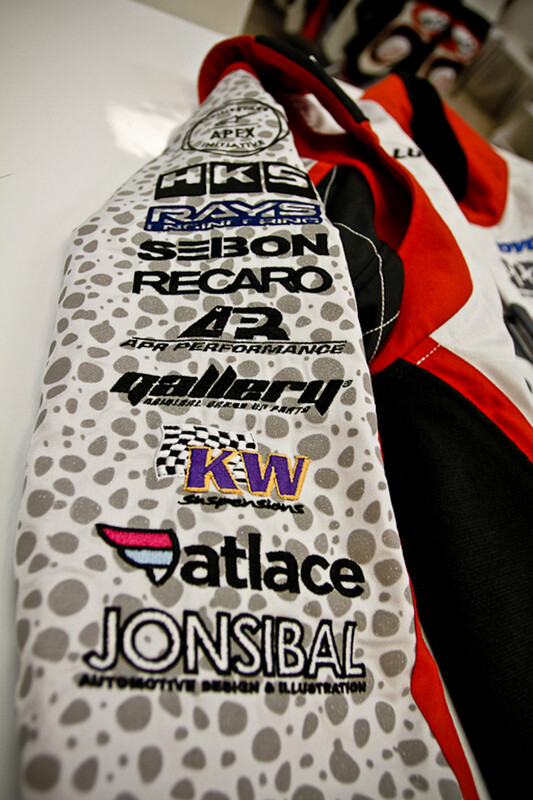 Every race car needs a driver and the driver needs a race suit. So I called a favor from Alpinestars for a suit and they offered to help design a custom suit to fit the build. Alpinestars is one of those brands that I’ve always respected for their technology and working with them to create my own race suit was simply awesome. After designing the suit to match the livery of the Scion tC GT I wanted to add another touch of the fashion element into play. Mark provided me with the Fatlace “safari” print and Astars suggested using a reflective print for that which was a great touch. They also provided me with some Japanese or UK only colorway shoes (Ken Gushi rocks them) and a pair of gloves. I went to Downtown LA and purchased a mannequin to display it all. I had a spare Fulmer helmet at the office and had it painted to match and it also received the carbon fiber Wraptivo treatment. Absoltely amazing build. It is the type of build that makes you want to go out and buy one. Great job. congrats on a great build my friend!